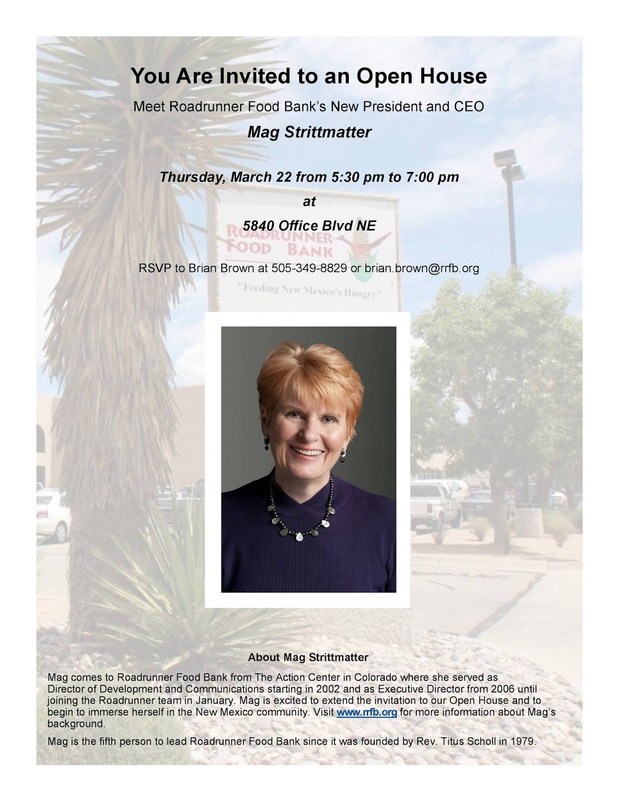 Mag comes to Roadrunner Food Bank from The Action Center in Colorado, where she served as director of development and communications from 2002-2006, and as executive director from 2006 until early 2018. The home page of the Roadrunner Food Bank website has more information about Mag’s background. Mag is the fifth person to lead Roadrunner Food Bank since it was founded by Rev. Titus Scholl in 1979. She succeeds Melody Wattenbarger, who retired in 2017.